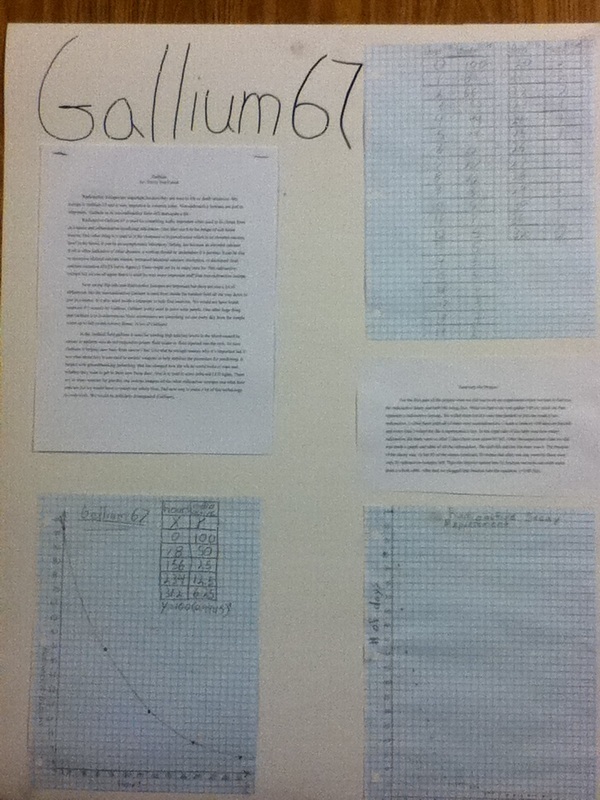 For this Project I really enjoyed the hands on learning while we still learned productively. We got to go on our own and study for the information we needed and I feel that benefited me a lot because someone isn’t always going to be telling me the fact every time. But, having a teacher there when we needed one was great because if I needed help on an equation or something I would know where to find help. I also liked how we all didn’t do the same thing. We all got to learn about our own interests in this subject of radioactive isotopes. One other thing I felt really benefited for the best me was learning how to cite my source without using and auto bib system. We have done a lot of things for math. I mean a lot but out of all the work we do a day my most proud piece is a test I took because I got a thirty three out of thirty three and I’m not too used to good grades because of math from mountain middle school. Why chose this piece is because since middle school I never really got good grades I was that kid that always struggled and I never did good on test. I might study but for some reason when it comes to test I just choke or something and I get what I knew wrong. So I came into Animas trying to change that, I feel I could do a little better job I know but I feel like it going better because I actually have really good math grades and I’m just not used to seeing that. What I learned about math this semester is that if you pay attention and you try to understand it math is actually fun. What I learned about myself is that I’m an easy going person when it comes to doing work if I actually start it. It might take a while to start but when I do I get work done.